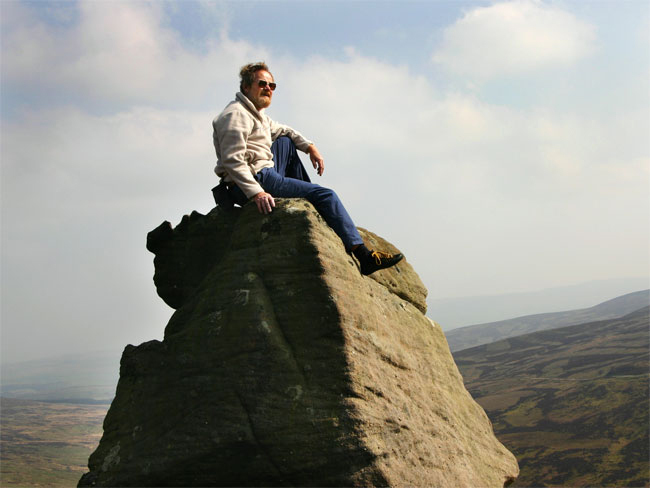 Musings of a, now over the hill, climber and walker living on the edge of the beautiful Bowland Fells in Lancashire. Thanks for calling in. Days out in the hills, climbing and long distance walking will be mentioned in some random ways. Home and abroad. My climbing exploits are limited these days, more bouldering than routes, still I’m lucky to be able to keep walking and cycling. I seem to be doing more walking than climbing. Originally set up to provide information on a number of climbing venues in the area, for which I’d had various requests. I am now using my posts more as a personal diary but you are free to visit and there is a comment section at the bottom of each page. The photos I insert will keep enlarging if you click. Super nice homepage you have. Hi, I have just found your blog and would like to re-blog your Tenerife walks as a series possibly using 1 a week. Naturally these will all be credited and linked back to you as the original writer. Could you please let me know if this is possible. Thank you. I just love Tenerife and all the Canary Islands. Go ahead and use my GR131 posts as you feel best. Very much enjoyed meeting the three of you shortly after you arrived at the Sulzenau Hutte on 10th September. Julia and I headed back round to Neustift, and have vowed to return next September to walk the full Stubai Hohenweg. Looking forward to it very much after spending many years sailing rather than walking. Your superb and informative blog account and photos will be very helpful indeed in planning, and helping to built up the anticipation levels. P.S. I would say you’re definitely more up the hill than over it. Good to hear from you, remember you well. I’m surprised you found my blog. We had a great trip as you can imagine. Get back there and do it! My next trip is [hopefully] trekking in Burma [Myanmar] – could be interesting. One just has to do these things. Ah, so this is where you live. Just stumbled on your GR7 stuff while doing some research. I will be back . . . I came across the GR7 whilst traversing The Alpujarras several years ago, pre-blogging. I’ve enjoyed many adventurous trips along it since then. The real Spain. Next up are the Canary Islands this winter. GR 131 links them all. Good to hear from you Nige. I’m still plodding on as you can see from my posts. Give me a bell if you are coming up to Craigy. Hi we walked from one end of Tenerife to the other which extended the GR 131 route. See my posts for information. A lot of routes only go from Arona to La Esperanza but it is worth doing the full coast to coast. https://www.traildino.com/trace/continents-Europe/countries-Spain/trails-GR131_Camino_Natural_Anaga-Chasna# in reverse gives some of the route , the Cicerone Guide Book gives the same. EVEN MORE OF DINKLEY ON A GOOD FRIDAY FAMILY WALK.